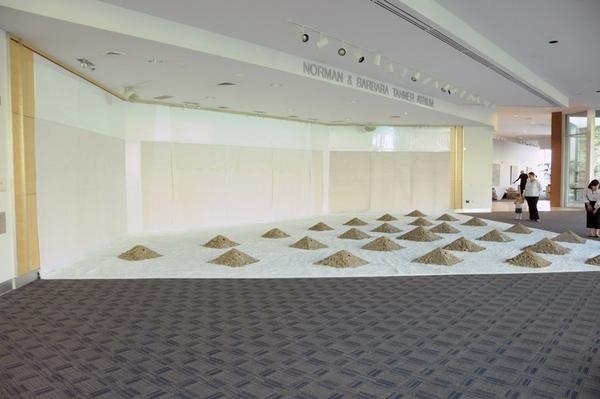 Site-specific large-scale installation at Westminster College in conjunction with a multidisciplinary event commissioned by TRASA and Brolly Arts. 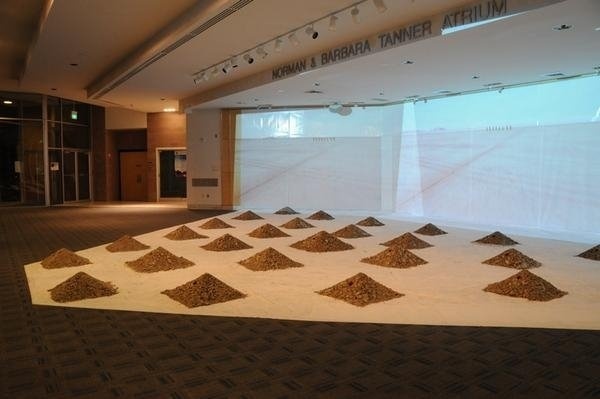 In this project, I excavated a certain tonnage of lakebed dirt from the Utah west desert and installed at the Tanner Atrium at Westminster College. 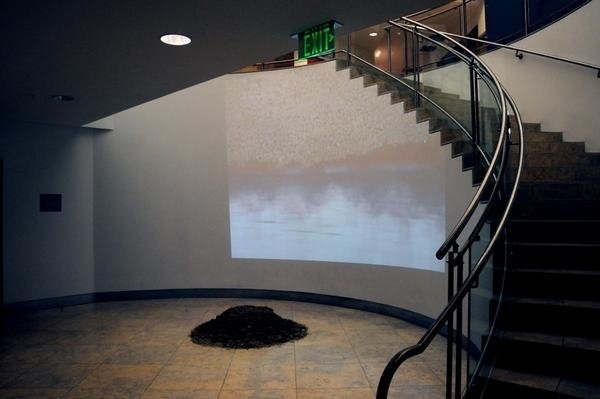 I also installed a second component in the main stairwell leading to the black box theatre. 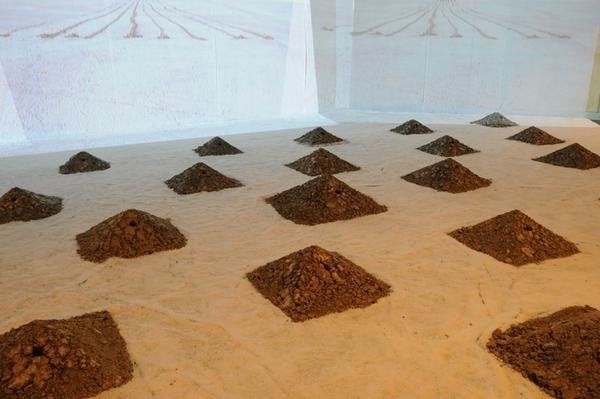 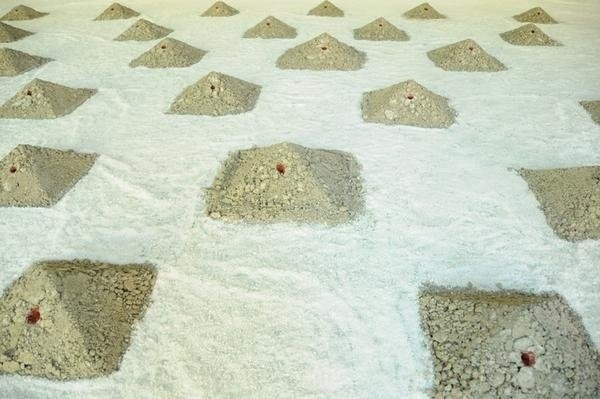 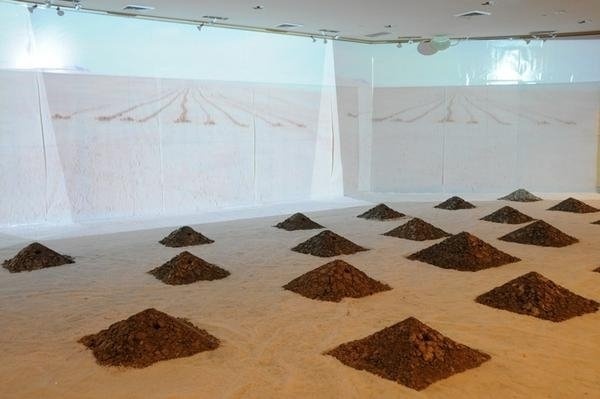 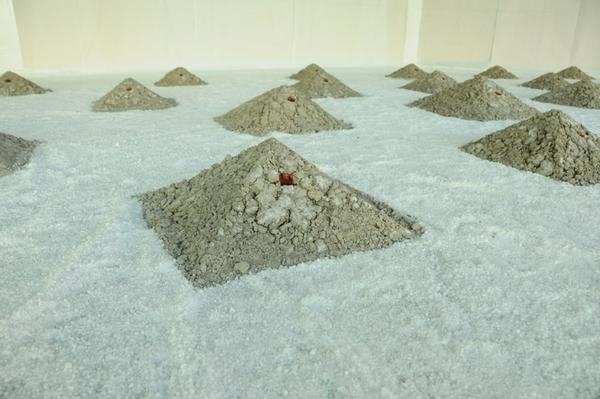 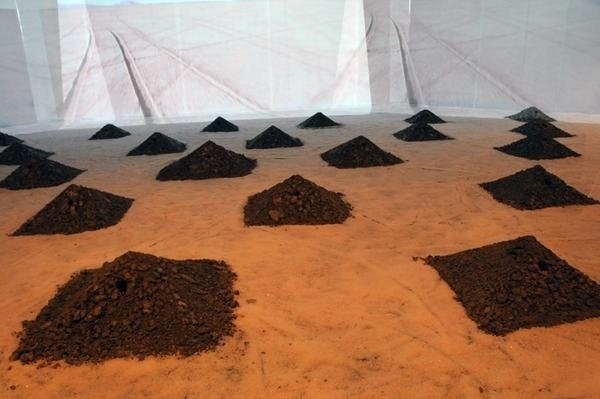 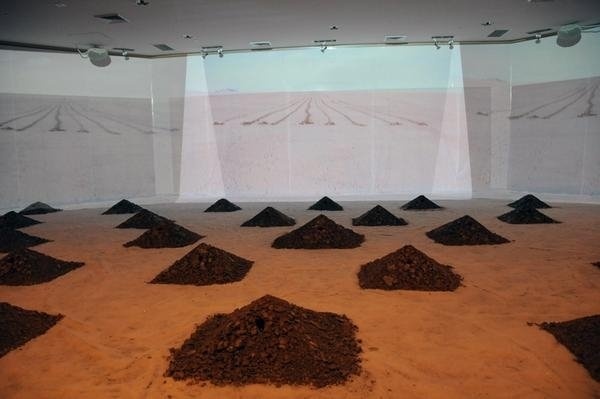 The atrium featured piles of lakebed dirt, the ground plane filled with salt crystals. 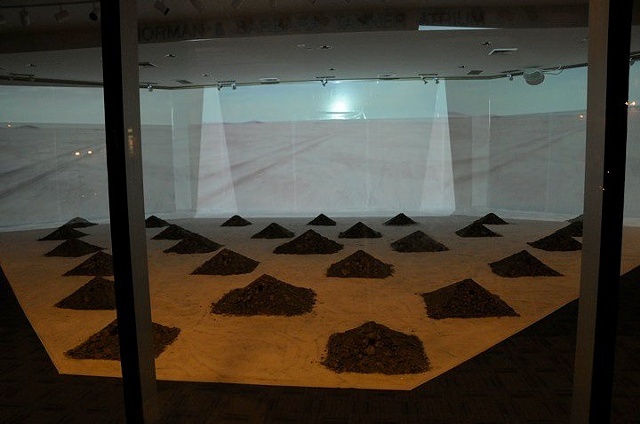 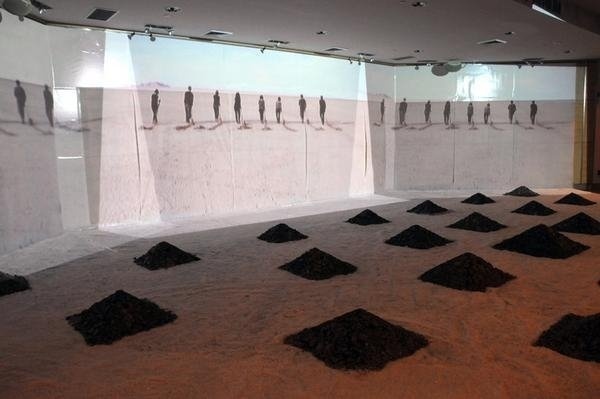 A video sequence filmed in the west desert was triple projected onto the walls behind the floor installation. 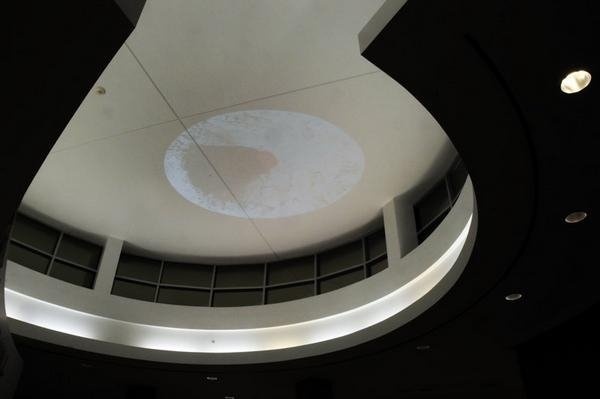 The stairwell featured a circular video projection filmed onto the high ceiling above (a sequence also filmed at the excavation site), and a video projection along the curved walls of the stairwells base. 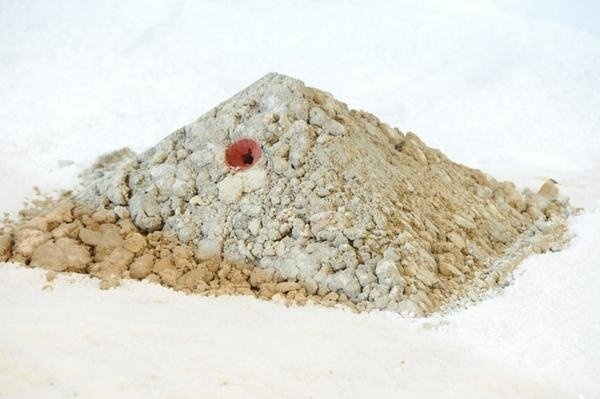 At the base of the stairwell, I built a large mound of the same dirt.